*This post may be a handy bookmark for those who don’t use an RSS Feedreader. Bookmark / add to Favorites and check back often. New entries are being added continually. – Ed. 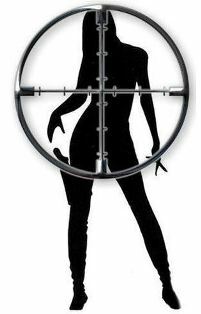 45 Caliber Justice – Cool blog with some excellent posts and photos! 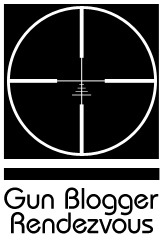 This Blog is dedicated to shooting and firearms training, with an Ohio focus. Most posts are done by Brandon, an NRA Pistol Instructor, or a few of his buddies. A journey from new shooter to rifleman with occasional stops to talk politics, society, and anything else I fancy. 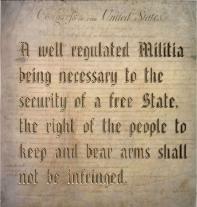 A well regulated militia being necessary to the security of a free state, the right of the people to keep and bear arms shall not be infringed. A Group of Citizens Devoted to The UNCOMPROMISED RIGHT of The United States Citizen to Keep and Bear Arms as was Constitutionally Intended. Anything contrary to this being Repugnant – NULL and VOID…. Partially sprawling adventures of a culturally hegemonic anti-idiotarian functional-structuralist and anti-collectivist imperialist among the smugly self-satisfied Prius-driving lizadroid-Leftbat Californoodlian Eco-Tofuistas. With guns and some home-improvement stuff. 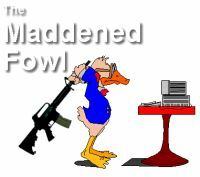 Enjoy the profundity of Habbs, the unhinged, unmedicated, punk-rock outlaw of the gun-blog world . Topics disscussed include politics, fine cuisine, coffee, (indie) film, and weaponry, past and present. The intent of Armed and Safe is to argue for gun rights, and to debunk the “logic” of those who wish to violate them. Since logic and truth have no place in their arguments, the anti-gun sites almost never make provisions for comment or discussion–to do so would be to expose the fatal weaknesses in their position. Those who disagree with me are invited to post comments. I, for one, don’t fear debate. Experiences of liberty by a former Canadian Liberal trying to put the “sense” back into common sense. A high traffic blog from Jed and Owen, both good solid military men. In the State of Jefferson – This blog is printed on recycled endangered species. Buckeye Firearms Association is a grassroots political action committee (PAC) dedicated to defending and advancing the right of Ohio citizens to own and use firearms for all legal activities, including self-defense, hunting, competition, and recreation. We work to elect pro-gun candidates and lobby for pro-gun legislation. Dapper and heavily armed. Check here for the Gun Nuts Radio Podcast. Some say I have a weird sense of humor. Others claim I have no sense. Both are probably right. Charmin’, just flipping charmin’. Where Clayton Cramer and Pete Drum keep track of civilians using guns in self-defense. Shooting sports blog — IPSC, USPSA — Also RKBA, military, politics, and GEEK MUSINGS when I have something to say (or sometimes when I just feel like ranting!) And when I have nothing to say? BLOGMEAT! You aren’t paranoid if they’re really out to get you…. “We’re going to take things away from you on behalf of the common good.” – Hillary Clinton, June 28, 2004. 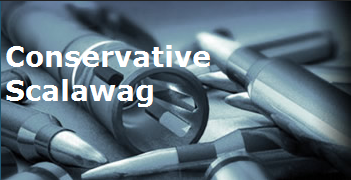 From Maine: A conservative-libertarian, pro 2nd Amendment political blog. An ongoing blog mostly concerning CZ handguns and anything else I want to talk about. The chair is against the wall. The chair is against the wall. John has a long mustache. John has a long mustache. Blogging on Guns, Self Defense, and whatever else I feel like blogging about. Links and Commentary from my Crypto-Anarcho-Libertarian Perspective…. A Florida Lawyer and Gun Owner’s unique take on the right of Americans to keep and bear arms. Conservatism taking hold, throwing out the lingering idiocy of the sixties. Intelligent perceptions on Freedom, Guns and Rights. I am a gun enthusiast trapped in the People’s Republic of Maryland. My political affiliation is Independent, as the Ruling parties are both full of crap, and long ago stopped represent the common man. The aim of this blog is the Restoration of the word of God as the ideal for the Moral values of this country. And the FULL RETURN of ALL of the RIGHTS guaranteed under the ORIGINAL INTENT of the FOUNDERS of The United States of America! Especially the 1st and 2nd Amendments! It should be OBVIOUS to anyone that the Liberal Socialist agenda has failed! To those who don’t LIKE it, the way it was intended to be, LEAVE! Stop perverting our system of government! This weblog is intended for the enlightenment and/or entertainment of any individual(s) who have a desire for All-American, Pro-Guns, Pro-Life, Pro-Freedom, Pro-Constitution, Anti-Liberal, and most importantly Pro-Jesus ramblings. A blog dedicated to correcting common PA gun law misconceptions, rebutting local anti-gun editorials and keeping you informed of what our Franklin County Representatives are doing in Harrisburg. government, and guy stuff from the centerish right with a common sense flavor and even a little lefty environmentalism. 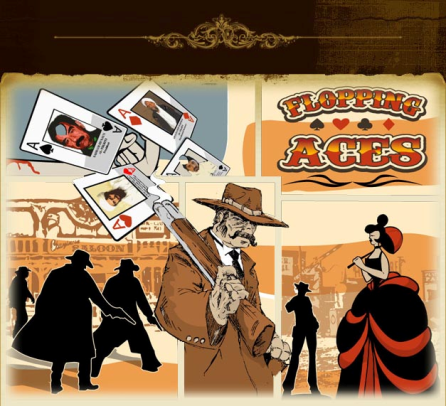 Volumes One through Fourteen covering 1993 through 2006. An expression of personal freedom designed to educate people about the meaning and importance of freedom and personal responsibility. Topics will include current events, historical analysis, gun control and firearms rights, education, politics and more. I write in support of freedom lest darkness fall upon our society in the form of dwindling rights, apathy and oppression. …a confederacy of the mind. In God we trust, everybody else keep your hands where I can see them. The ramblings of a zombocalypse ready, hoplophile Canuck. Everyone’s entitled to my opinion. We’re going to win in the long run, you know. Liberty will win. By David T. Hardy – Hardy has five books and thirteen law review articles in print; one of the articles has been cited by the U.S. Supreme Court and eleven of the thirteen U.S. Circuit Courts of Appeals. Think. It’s what makes you human. Engage! Assorted ramblings about the political, economic, cultural, and bizarre news of the world, from the conservative viewpoint… Live, from Liberal Eugene, OR… You will be assimilated! 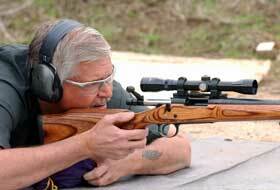 Dedicated to firearms, firearm history, and the Second Amendment. I’ve been an avid collector of mostly curio and relic rifles for many years and I will use this blog to pass on news, information, and ideas. Enjoy! Hippies talk about changing the world, but they just smoke weed and smell bad. Gun talk, politics, academia and various other views from the bottom of California. The thoughts of a young American on all issues he finds interesting enough to post about. The official home to the weekly Carnival of Cordite: a weekly round-up of blog posts dedicated to the Second Amendment, shooting sports, firearms, and more! This is the blog of a truly conservative UAW member. Conservative UAW member is not an oxymoron. I hate liberalism, but only because liberalism is inherently evil. Please note: This is a generally HUMOROUS (or trying to be) site. Please don’t get all offended. If you do, you’re intolerant; get diversity training…. Don’t let the name fool you – Political commentary, opinions, and news served up to you from ALL sides of the aisle. The bloggosphere’s most talented writers; Liberals, Conservatives; and Libertarians; congregate here respectfully. I’m an Army veteran and a Featured writer for both KeepAndBearArms.com and ArmedFemalesofAmerica.com and a former contributing editor to the NRA’s Women’s Outlook. 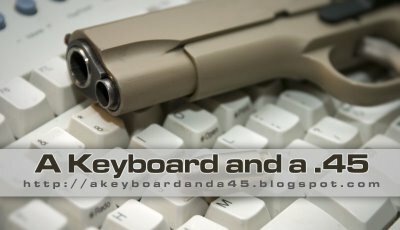 I’m also news director for KeepAndBearArms.com. What can I say, I like guns…. 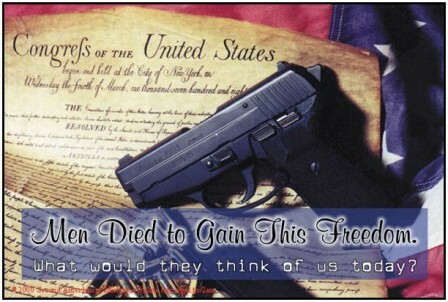 A blog by two self-described gun nuts. One who started as a liberal and the other who started as a conservative. We helped each other grow and thrive over the past nine years. In a remote area on the edge of truth, somewhere beyond the blast zone, a lone cultural survivalist sits in his concrete bunker…. David Codrea – Co-founder, GunTruths and Citizens of America. 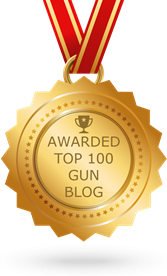 Commentary has been featured in GUNS AND AMMO, HANDGUNS and GUNS (where I am a Contributing Field Editor/”Rights Watch” columnist), as well as numerous freedom-oriented internet sites. An intellectual and visceral examination of all things free, with a healthy emphasis on the right of free men to own arms. The only “Spin” here is provided by the rifling of the barrel. The difference between gun control activists and gun rights activists is simple: gun rights advocates know what they are talking about, because they have depth of knowledge and expertise about firearms and pay attention to the issue. A central repository for information regarding the case against Lt. 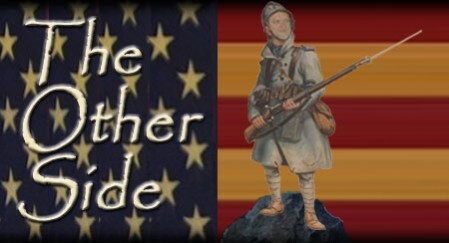 Commander Wayne Fincher of the Arkansas Militia of Washington County and liberty’s case against the United States government. Arrested November 8, 2006 for no crime other than possession of arms the government doesn’t like.